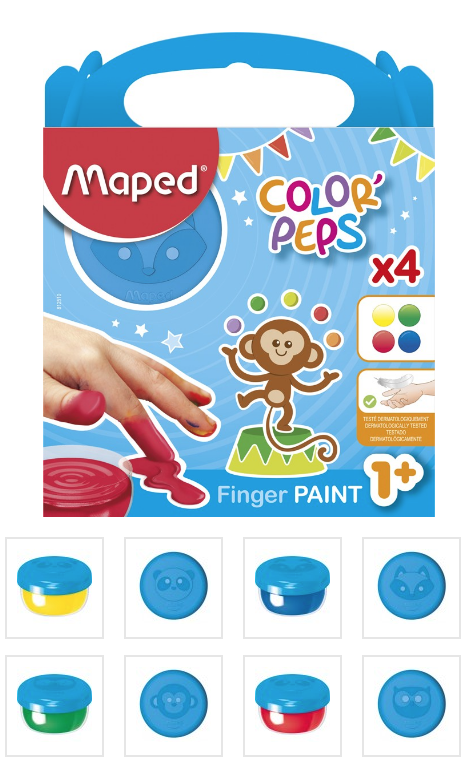 Maped have created finger paint for 12-month-olds up, in lovely primary colours and yes, it is easy to clean and comes in baby safe containers. The paint is ideal for drawing, colouring and painting. You will love seeing your little one’s face light up as you play and if they get any on their clothes or yours, do not worry as the paint ultra washable at 30 degrees without a prewash – even after 24 hours of drying. These lovely paints make the perfect present and will give your precious little one hours of fun! The jumbo coloured pens come in a box of 12 and are made especially for children, so you can be sure they are perfectly safe. They are made for little hands and the tip is locked, so it can’t be pulled off. They are also ultra washable, so you don’t have to worry about clothes being ruined. 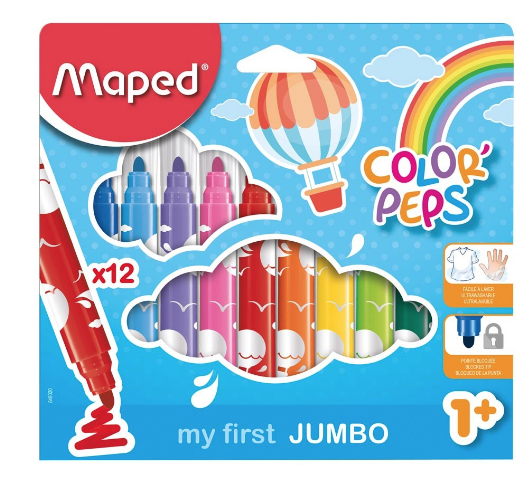 My first Color’Peps, the range for young kids, from 1-year old and up, they are ideal for drawing, colouring and painting.